Manor Park is a family-run care home which has been successfully caring for people with a dementia since 2006. 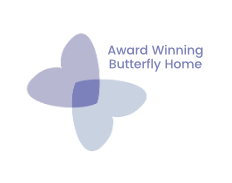 In 2015, Manor Park worked with Dementia Care Matters to improve the quality of life of the people living here and we achieved ‘Butterfly Home’ Status in May 2015 and we are proud to say we have kept it ever since. We follow the household model of care, where our home is split into different areas which is characterised in to the stage of dementia that the individual is experiencing. This allows us to adjust the level of engagement and activity for that person’s needs dependent on their stage of their dementia. The effects of dementia are extensive for both the person living with the condition and for the loved ones going through the journey with them. The emotional impact is huge and requires time for individuals to adjust and come to terms with what the future looks like. Manor Park has several lounges are designated to the differing stages of dementia and the challenges they present. We follow the latest research and invest in technology to create the best environment possible. The care staff understand the importance of looking out for individual well-being and making sure that every person living at Manor Park has a purpose. Meaningful activity and engagement with others are vital parts of everyday life to all of us but is especially true with those living with dementia. At Manor Park are expert care staff understand that coming to terms with end of life brings emotional challenges for both the person approaching end of life and their loved ones. Our trained nurses and care staff are able to provide relief from the symptoms of their diagnosis and can support the management of the pain and stress of the life-limiting illness. 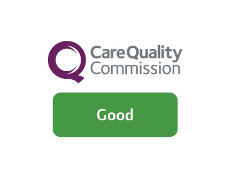 We understand at Manor Park that death is a normal process, however it is our fundamental aim and duty to ensure that the individual at the end of their life has the best quality of care and their loved ones are supported throughout this difficult time. Respite care provides caregivers a temporary rest from caregiving, whilst care can be given in a safe environment. Using respite services can support and strengthen your ability to be a caregiver.